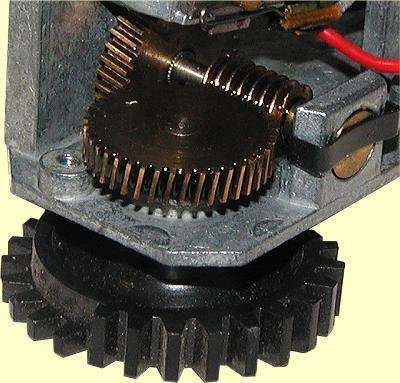 The black Pinion (gear) was of a very clever design to drive the Turntable Bridge. Half of the teeth were only half the height of the others. 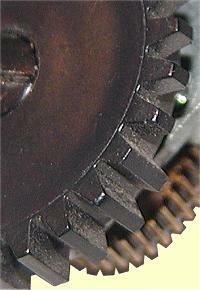 The teeth on the Turntable surround had three positions where the teeth were reduced to half height. 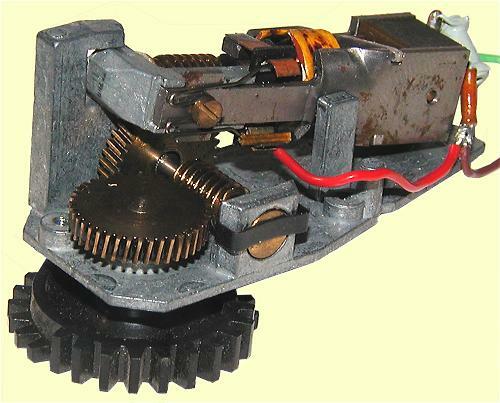 This meant that when the motor was powered and the Bridge rotating, it paused at each of the three outlet tracks whilst the pinion continued rotating half a turn. If the power was removed during this period, the Turntable remained at this track.